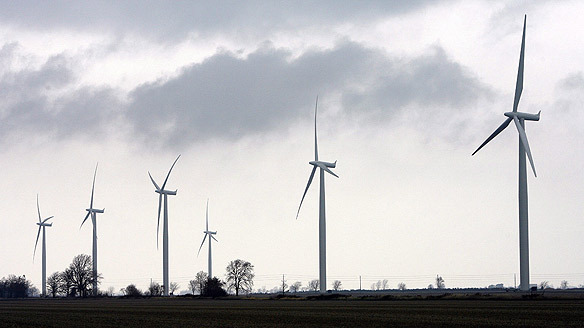 TORONTO — A farmer on a small island in Prince Edward County, Ont., who said he fears the constant swooshing of wind turbines will harm his family’s health launched a legal challenge Monday against Ontario’s wind power plans. “My parents taught us when we were growing up that we should stand up for what we thought is good and right and whether that’s for my family or for my neighbours, I intend to do that,” he said. This entry was posted in Wind power and tagged Green Energy Act, Wind Concerns Ontario, Wind farms. Bookmark the permalink. I think Wind energy is an economical power resource and does not produce air or water pollution. Try living next to one Ernest. And by the way they are not economical, they cost about 8 x more for the electricity they produce, and they eliminate all wild life within 1/2 kilometre, which in turns disrupts the local ecosystem. They are not benign. They are a health hazard to man and beast alike.